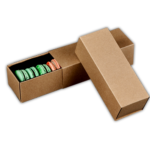 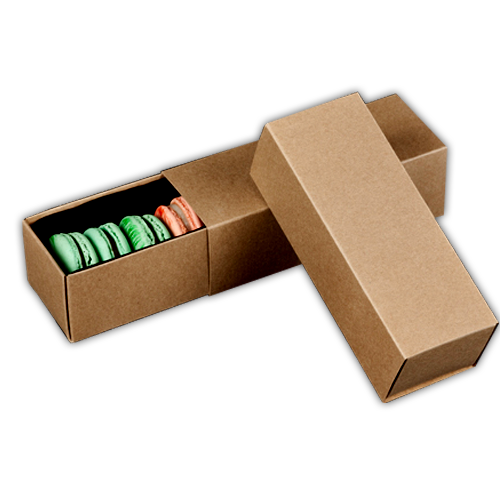 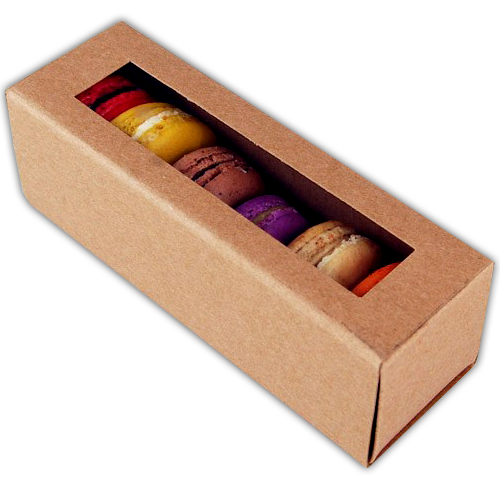 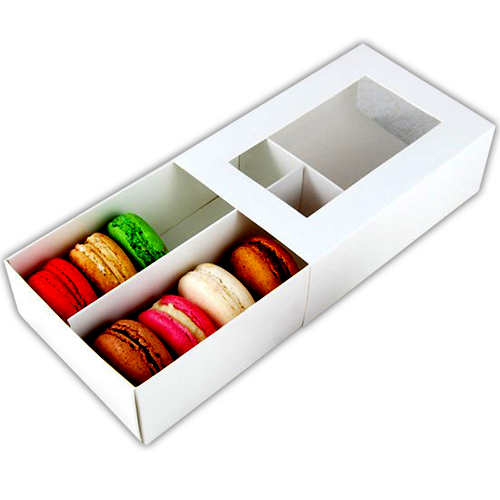 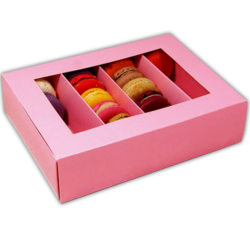 Our macaroon boxes are made of cardboard or kraft card. 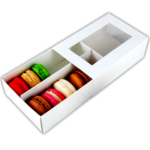 With matt finis outside, and a window to showcase the inside product, these boxes are the best when it comes to the packing of these sweet meringue-based confectioneries. 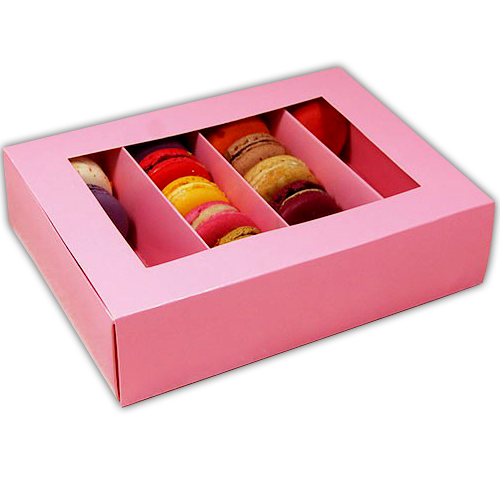 We can make macaroon boxes in any size or shape you desire.